Gion Antoni Degonda II (dee-GON-da; the Swiss spelling is "Degonda") was born 18 November 1828 in Tujetsch, Switzerland, to Gion Antoni Degonda I and Maria Turté (nee Schmedt) Degonda. Gion was a trained soldier in the Swiss army (was not in active service, however) and was a farmer. At the age of 25 he married Onna Maria (Anna Maria, Mary) Muggli on 21 Feb 1853. They made their home in Trun, Switzerland. Both Gion and Mary were 100% Romansch (of Roman decent). 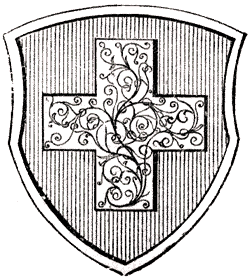 They had 11 children, four of whom died in Switzerland between the ages of three months and two years (likely victims of the plague). Gion moved his family to Surrheim and prepared to take them to America. They were about to leave when Gion died on 3 April 1866. 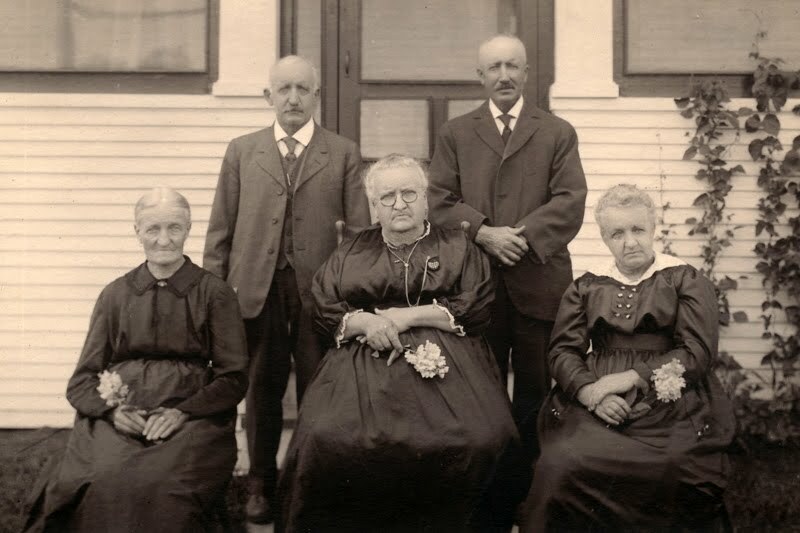 Mary Muggli Degonda was left a widow with seven children. 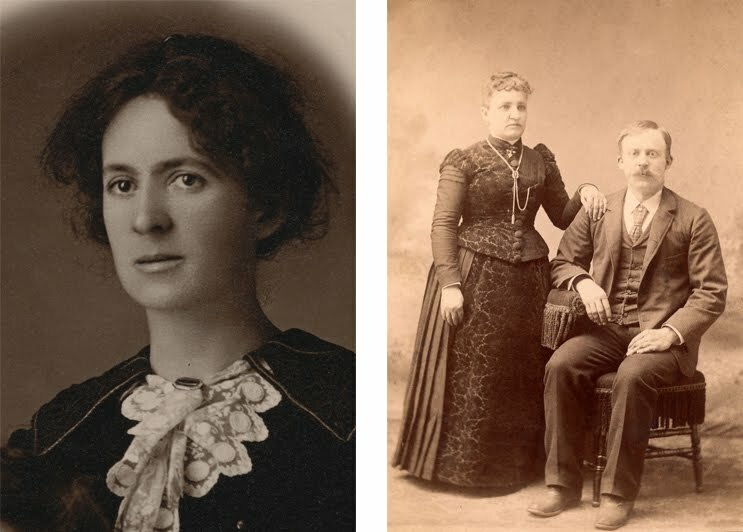 Mary’s brother, Lucius Muggli, had already settled in Stillwater, Minnesota, with his family and encouraged her to join him in America. Four months after Gion’s death, with her seven children, this brave woman (who spoke only Romanch) came to America 14 August 1866. Two of her children apparently died during the crossing since only five children were with her when she arrived in Stillwater. One can only imagine the heartbreak she endured with her husband and children all dying during such a short period of time. 1. Rosa Martina (Rose Marie) Degonda; born 24 July 1853 in Tujetsch, Switzerland. She married Aloysius (Louis) Simonett on 2 August 1868 in Le Sueur. They had eleven children. Rosa died 1 May 1924 in Mapleton, Iowa. 2. Onna Maria Turte (Mary Dorothy) Degonda: born 26 August 1854 in Tujetsch, Switzerland. She married Daniel Jacob Freiberg on 29 July 1875. They had 13 children. Mary died 23 October 1922 in Pedro, South Dakota. 3. Maria Aloisia (Louise) Degonda: born 13 December 1855 in Tujetsch, Switzerland. She married Henry Joerg. They had four children. Louise died 5 December 1929 in Madelia, Minnesota. 4. Lezi Antoni (John Anthony) Degonda; born 3 June 1857 in Tujetsch, Switzerland. Died on ship? 5. Giachen Antoni (Jacob Anthony) Degonda: born 26 July 1858. He married Dora Maria Livers on 9 June 1880. They had ten children. Jacob died 20 December 1927 in Le Sueur Center and is buried in Calvary Cemetery. 6. Maria Fausta Degonda; born 22 September 1859. Died 27 October 1860 in Tujetsch, Switzerland. 7. Gion Rest (John Chrlstlan) Degonda: born 4 November 1860. He married Mary Haubrich in 1890. They had four children. John died 28 June 1920 in Madelia, Minnesota. 8. Caspar Degonda; born 5 January 1862. Casper died 10 April 1862 in Tujetsch, Switzerland. 9. Caspar Degonda; born 20 September 1863. Casper died 6 May 1864 in Tujetsch, Switzerland. 10. Maria Fausta Degonda; born 21 February 1865. Maria died 25 February 1866 in Tujetsch, Switzerland. 11. Onna Maria Fausta Degonda; born 1 June 1866. Died on ship?